Non-members can view thread contents: that's up to you. Create group discussion area: this is basically group PMing. Maybe you have your group set to open so non-members can see the posts, but you can make a private discussion area just for members. GROUP SETTINGS: once these are set, they cannot be changed. Private Group: non-members can see that the group exists, but not any threads. Non-members can request membership. Hidden private group: non-members see nothing and you must manually invite people to join your group. Not private but requires approval: anyone can see the group and the threads, but must be approved to become a member and post. If one of the options above is not selected, the group will be a public group and anyone can view threads and join without approval. Restricted groups are admin permission only, so don't check that. One private group per Premo membership. To become a Premium Member, click your icon at the top and select Account Upgrades. Pay online and you will immediately be upgraded to Premium. Threads can be started in the thread list of a forum. Click on one of the forum categories and you'll see what I mean. At the top of the threads there will be a space where you can start a new thread. Ignore feature. Now you can REALLY ignore someone who gets on your nerves. You will not see any threads they start, nor will you see any posts they make. Oh, AND you will not see when someone quotes them in a reply. To ignore someone, hover over their avatar in any post (you may have to click in some browsers) and select Ignore. Like button. Give a thumbs up for a good post. 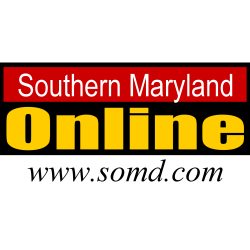 Your online community for Calvert, Charles, and St. Mary's counties. News, Classifieds, Announcements, Community Calendar, and Forums. Locally owned small business since 1996! Smilies. We have some news ones, along with your old favorites. When you click the smilie icon above your post window, you'll see all of them. Insert Media. The forums supports embedding media from a number of news and entertainment sites. Click the "..." insert button next to the smilies and follow the instructions. Please set your media to NOT autoplay. Conversations. PMs are called "conversations" now. You can start a private conversation with someone by clicking your inbox icon, or by clicking/hovering over the person you want to message. Tagging members. You can tag members in your post by using the @ symbol and the member's screen name (example: @vraiblonde ). They will receive a notice that you are trying to draw their attention to something. NOTE!! Abuse of this WILL NOT be tolerated! Save a draft. I forgot to test this but will play with it and describe it here. Mark Forum Read. At the top of each forum, above the threads, you can mark the forum as read and not see them come up in New Posts. Go into your account and set your privacy and preferences. Click your name at the top, choose from the menu. Go through all settings and personalize them to suit. "Preferences" is the biggie because that tells the system to alert you or not based on various events. Multi-Quote. Click "Reply" next to each post you want to multi-quote. They'll show up in a post window as you select them. AND you can choose posts to add to the quote even after you've started the reply. Whew. I'm sure I've left some things out, so go ahead and play around, have fun, and let me know if you have any questions! David or I will add to this as we remember other new features. This thread is sticky and will remain at the top of the Life in Southern Maryland forum. So now there is no way, at a glance, to ascertain which post we have replied in as before where a little green dot indicated such? BTW, I know my opinion means squat, however, I do not like the new format. What exactly was wrong with the old to move to this? What exactly was wrong with the old to move to this? The software hadn't been supported in 10 years or so. Half of the features didn't work any more. There was very limited support for mobile when half our users are mobile. It shows me as a new member, Ive been on this forum about 20 years? It seems that the rollover didn't populate the markers for posting in a particular post. But new postings now have a small circle in the bottom right with the posting member's avatar. How does it feel to be a newbie again? I'm not sure why it's not showing the Join Dates for members. @David is that something we can have back? LOL Im way too old to be a newbie. That's something that wasn't apparent until you just mentioned it. The user ladder changes the title (e.g. New Member) based on trophy points the user has earned to date. Points are earned automatically and very easily. You get points when you post, someone likes your post, you return to the site, etc. It is designed to encourage people to engage. It currently only takes 45 points to become a "Well Known Member." You could be well known in no time. We could change it to be based on number of posts. These are all things we can tweak over the coming days as more and more provide feedback. Right now we have 100 small cleanup tasks to wrap up. Then we can focus on tweaks. Another Note. The system allows much higher res avatars. Since the ones on the old system were pretty lo-res, they're probably not going to look great here when stretched out. You might want to upload a higher-res image. You can also link your profile to use your Gravatar avatar if you have an account there. Gravatar is more-or-less a 411 for people's avatars. It is run by the company which own WordPress, so it is completely legit and safe. Hovering over his, and anyones avatar, shows his/there join date, his as 2005. Another big, big, big needed fix. There is no way, that I can find, to get out of the forums and go to the main somd.com website. No classifieds link, real estate link or even the somd.com home page link. Even the top page corner left somd logo, always reserved for the link to the somd.com homepage, keeps you locked into forums.smomd.com pages. Another Note. The system allows much higher res avatars. Yeah, but now they are round, removing a lot of people's avatars image. Just look at vria's, (board mommy) can't read hers anymore. And just where were you when we needed testers and proofreaders, mister??? :handsonhips: I can't believe we left that out. And just where were you when we needed testers and proofreaders, mister??? :handsonhips: I can't believe we left that out. Thanks! Uhhhhhh ...... Didn't get the memo? There will be some tweaking over the next week or so until we get everything the way we want it. Feel free to play around in the Testing forum, ask questions and make suggestions. Another nice feature: You can follow posters that you like to read. When they post it will show up in your newsfeed (What's new -->Your news feed). Ditto here, if there is something someone thinks I need to see, tag @somdadmin @David in the post. Southern Maryland Community Forums would like your permission to enable push notifications. If you click yes, it'll play Salt N Pepa in the background.